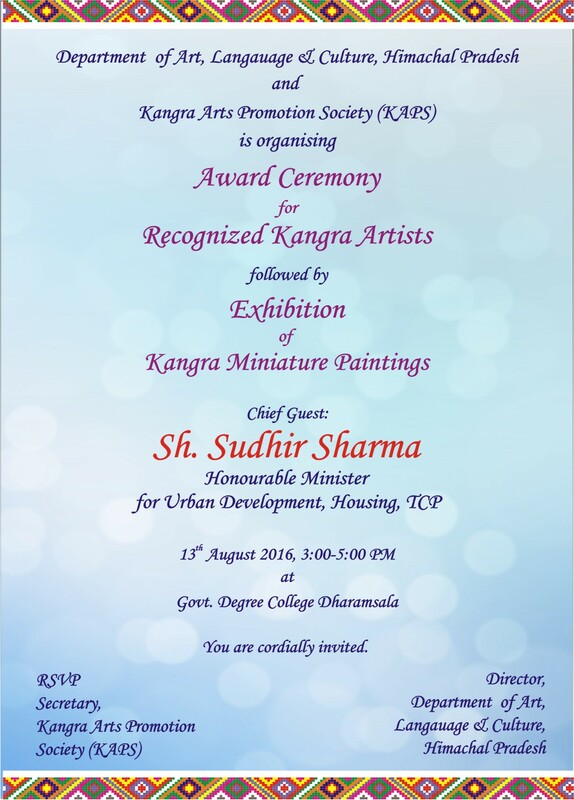 KAPS along with Department of Art, Language & Culture, Himachal Pradesh cordially invite all the patrons on the proud occasion of award ceremony organized for the national & state recognized artists. Hon. Minister Sh. 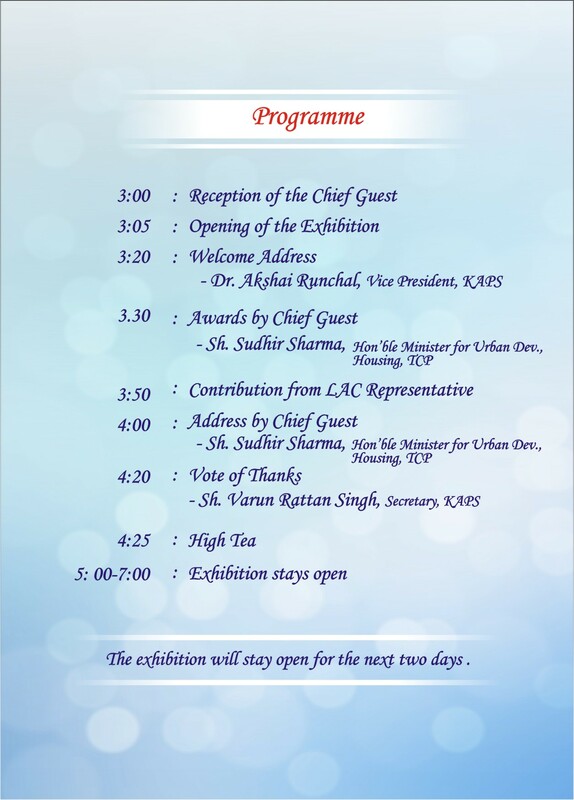 Sudhir Sharma (for Urban Development & Housing, TCP, Govt. of H.P.) will glorify this ceremony with his presence.